Self-driving boats: the next step for autonomous vehicles. Watch the prototypes made with MakerBeamXL featured in the video by Quartz. From Sam we got a picture of a camera frame made from MakerBeamXL. 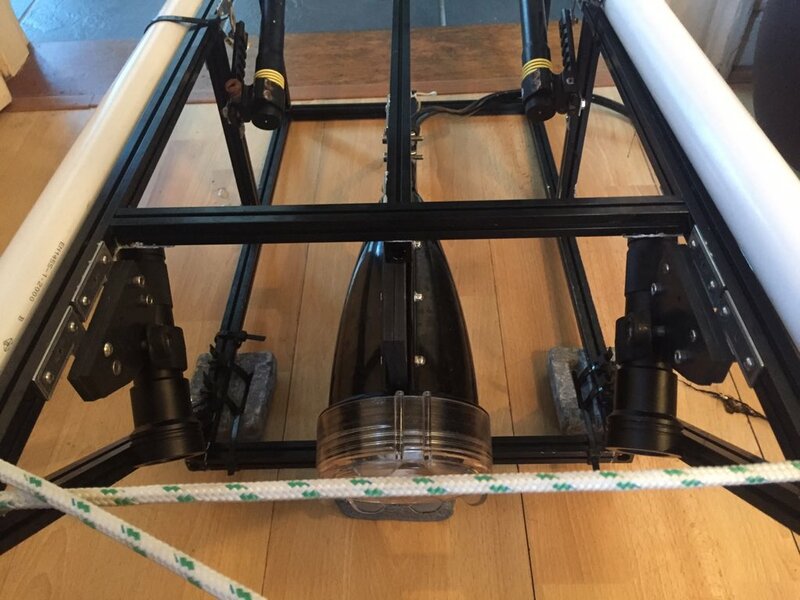 The frame stabilises the camera housing when it’s towed behind a boat for smooth underwater footage. The underwater footage is used for Sam’s PhD studies in marine ecology. MakerBeamXL provided an affordable and practical solution, she wrote. Below there is a picture of the frame.